As part of National Heritage Week, the Ardara GAP Heritage & History Group is offering a Doon Fort Trail day – an opportunity to see Doon Fort in its local context. 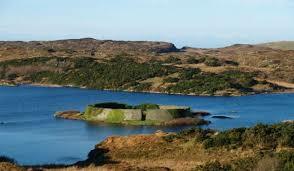 The trail will be by bus and cover Doon Fort, Pound Lough, Inishkeel Island and the Kilclooney Dolmen and more. Talks & exhibition in Dolmen Centre, Kilclooney, Portnoo (N56) beforehand. Email: carnderryness@gmail.com or Paula Harvey: 087 921 4206. Tours will take around 2 hours.